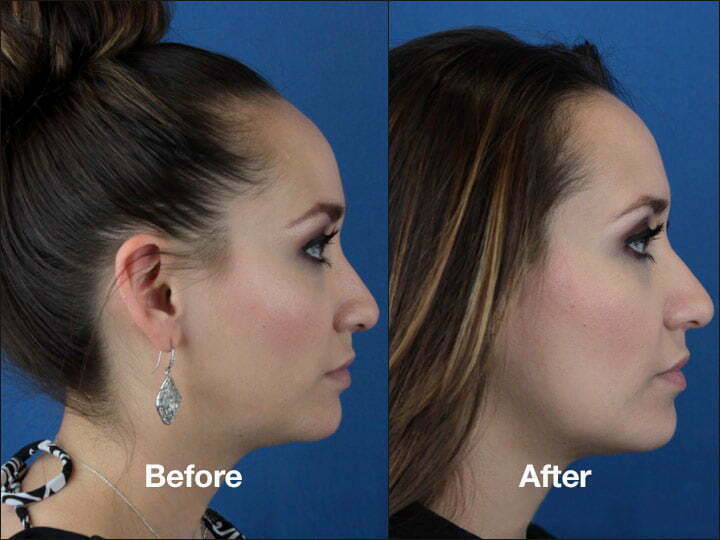 In just a few treatments, Kybella can noticeably reduce your double chin...without surgery. Over 2/3 of consumers are bothered by their double chin. Kybella is made with deoxycholic acid, a naturally occurring, harmless bile salt that breaks down fat so it can be safely removed by the body. Most people don’t spend much time thinking about their chins, but over 2/3 of consumers are quite bothered by what’s under it. Genetics, lifestyle habits, aging, and the natural (though no less frustrating) toll of gravity can all contribute to submental fullness, better known as the dreaded double chin. Because this area is so hard to tone, most options for reducing a double chin have, traditionally, involved surgery. Luckily, BEAUTY by BUFORD has a new, minimally invasive option for you: Kybella™. Image courtesy of BEAUTY by BUFORD. See more before and after photos of our patients. Recently approved by the FDA, Kybella is an injectable solution that safely, effectively, and permanently reduces unwanted fat under the chin. Kybella is uniquely formulated with deoxycholic acid, which is a molecule that naturally occurs in the human body to help with absorption and breakdown of fat. Kybella is expertly injected directly into the areas of stubborn fat under your chin, where the deoxycholic acid works to permanently break down fat cells and makes them unable to store or accumulate fat in the future. 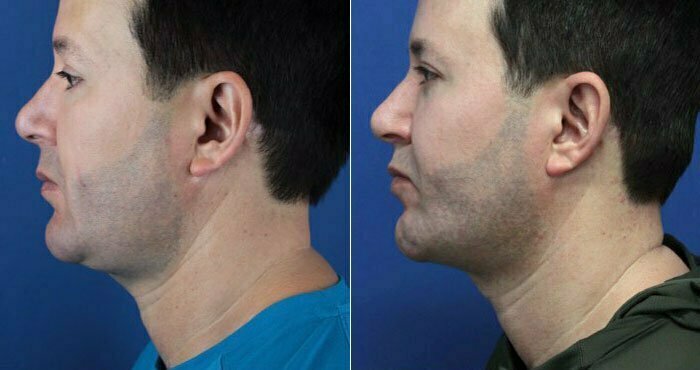 Traditionally, the only way to improve the contours of the neck or under the chin involved procedures like submental liposuction or neck lift surgery, which is what makes Kybella such a great option. It is the first and only treatment of its kind to effectively reduce moderate to severe bulges of fat under the chin. The best way to determine if Kybella is the right choice for you is to sit down for a private consultation with a board certified plastic surgeon. During your consultation, your surgeon can help you explore your options, explain the benefits of Kybella, and recommend a treatment plan that will provide you with optimal results. If you meet these criteria, you may benefit from Kybella. If we agree that Kybella is the perfect choice for you, Dr. Buford or his Physician Assistant Kaitlyn will begin precisely injecting the solution directly into the areas where fat has accumulated over the years. Treatment is relatively comfortable, though it is normal to feel a slight stinging sensation at the point of injection. Your treatment will be performed in-office in one of our comfortable, welcome exam rooms, and it should last no more than 30 minutes. After treatment, you will be able to resume all of your normal activities. Kybella results in very few side effects, though you will likely experience some swelling, tenderness, or slight bruising around the injection sites for the first day or so. Up to six treatments spaced at least one month apart may be administered, though most of our patients report being thrilled with their results after just two to four treatments. 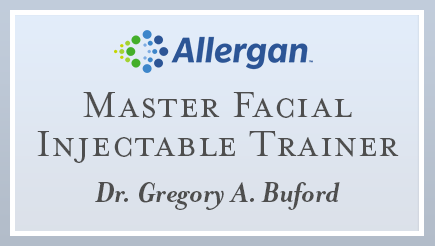 Dr. Buford is one of the original National Trainers chosen by Allergan to help train other medical professionals in the safe and effective use of Kybella. With many years of experience administering injectable treatments, Dr. Buford has an advanced understanding of facial anatomy and is well-versed in the best techniques to provide beautiful, safe results. Ditch your double chin…for good! If you are interested in learning more about your options, or you’re ready to get started with Kybella today, contact us! Dr. Buford and Kaitlyn would love to meet with you for a personalized consultation.